With the fall equinox, the season finally seems to be turning in Southern California. It seems as though the rest of the country has moved past apples and onto pumpkin, but we are still picking tomatoes, peppers and eggplant. (Complaining of SoCal problems sounds like humble bragging.) 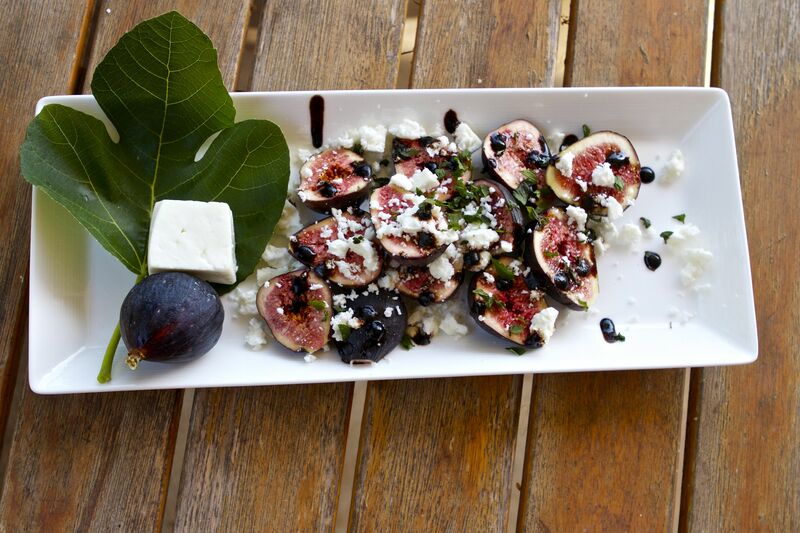 I’m sharing my favorite fig and feta salad as a farewell to summer. Our tree’s fruit are in their last stages and our mint barely survived the last heat wave. I had wanted to first post my feta recipe, but at this stage of my pregnancy, I don’t have the time or focus for a long cheesemaking post, like this one on chèvre. As I wrote the recipe (below), I felt a little silly typing out the ingredient list. With only the four ingredients in the title, it seemed a little pointless. This combination is so flavorful and balanced, it doesn’t even need salt and pepper! 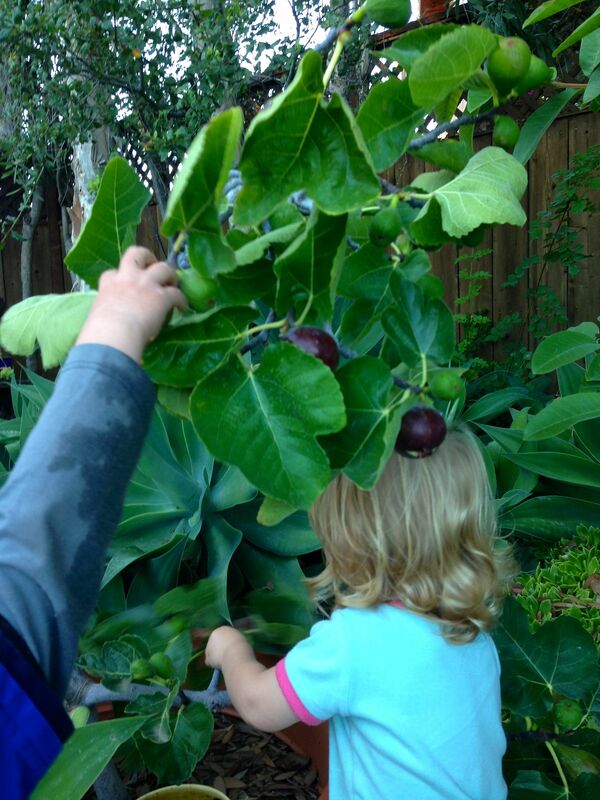 Gently rinse figs. Cut off stems and then cut in half. Arrange in a shallow bowl or plate. 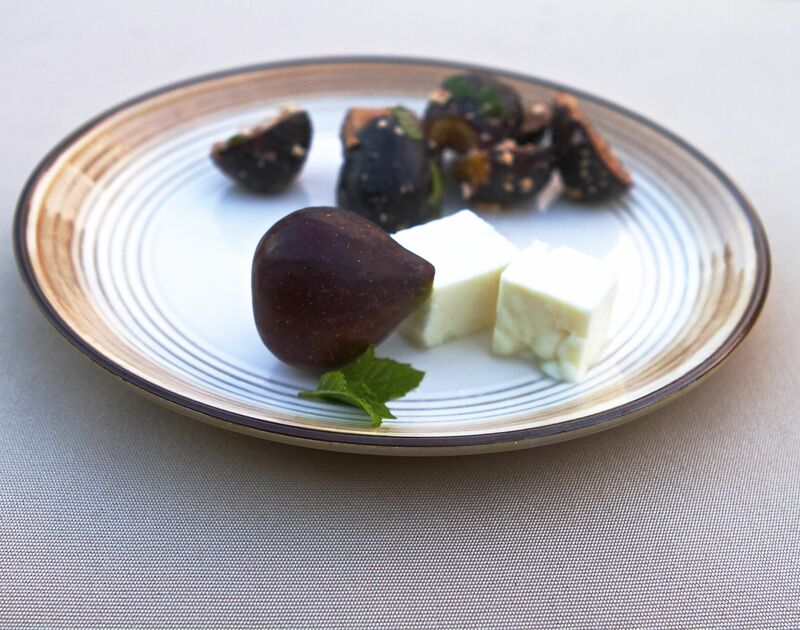 Sprinkle with crumbled feta cheese and chopped, fresh mint. 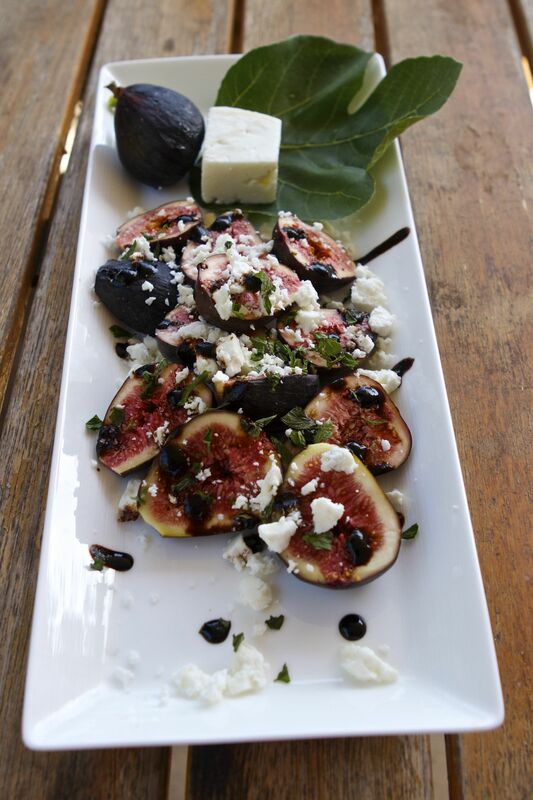 Drizzle with balsamic vinegar or a balsamic reduction. Gently mix and serve. This entry was posted in Food, Healthy Recipes, Home Dairy, Recipes for the Whole Family, Recipes from the Garden, Recipes to Make with the Kids, Seasonal Recipes, Urban Agriculture, Urban Homesteading and tagged appetizers, cheese making, easy entertaining, easy farm to table, easy seasonal cooking, easy seasonal recipes, meals for the whole family, naturally gluten free, Urban Homesteading, vegetarian, victory gardens. Bookmark the permalink. Thanks for the offer Daniel. I will check with my husband.